5 Tips on how to get the most benefit from the responses you receive to your advertising campaign to find sales agents for your business. When you have invested in advertising and promoting your requirements for sales agents you will want to get the best return on that investment. Follow these 5 tips and your relationship with independent sellers will get off to a smooth start. Respond quickly and acknowledge every response you receive. Do this even before you have assessed the responses so agents know their message has been received and you are dealing with it. Good sales agents are in demand and may take up other offers if they think you are not interested. To applicants you want to work with a quick response gives a good first impression. To those you don’t form a relationship with you appear professional and as they work in your sector, or could become customers, this is good PR for the business. A good tip is to have a response template so you can simply add the agent’s name and reply to them quickly. Confirm receipt of their contact, even if it’s by telephone, and tell them what the process is moving forward. Include whether or not you will contact them if their application is unsuccessful. Not all sales agents that contact you will meet your requirements, so it’s good to have a sifting process to quickly decide which applications you want to take further. Having the criteria clearly defined lets you, or another staff member, easily select the agents you want to speak with. This process can be made easier by having well-defined criteria on your sales agent advert and clearly stating what you want to see from the agents, e.g. information on current sales activity. You’ve selected the agents that meet your criteria, so what’s next? Do you want to interview them, does it need to be face-to-face, will you use the telephone or maybe an online tool such as Skype? When will the conversations take place, have you got the time booked in your diary? Think about the selection process for sales agents in the same way you would hire employed sales people. Consider what you want to know about them, the ideal experience they should have, and whether you want them to have a network of customers and contacts in our industry sector. Their geographical location may be important, so have an idea of where you would like them to be based in order to cover your target sales area. This sounds like a lot of tasks, but by planning the process in advance you will select the best agents and have them up and running in the shortest time, which will give you the best return on your investment in finding and connecting with them. 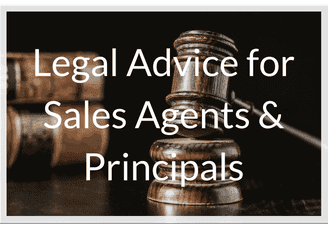 Having a legal contract ready for your new sales agents will save time and prevent any problems as the contract will cover all eventualities. The contract protects you and the agent. It defines the working relationship. It is a good investment to have a contract written by a legal professional with experience of sales agency law. 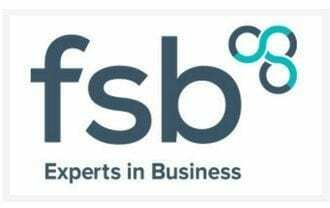 If you don’t have a contract already, take a look at our sales agency law legal advice page and see the options available. When you and the agent have agreed the terms and conditions of your relationship, your sales agents will probably require some training. This could be induction training on your company’s policies and procedures, software, and order processing. There may also be product knowledge training requirements. Have the training planned and ready so sales agents aren’t kept waiting. You want to get them started while they are enthusiastic about their new venture. To find sales agents choose a business that specialises in the sales agent sector. This will give you far better results than using a recruitment agency that only has contacts in the employed sales sector. Beware of companies that rely on a database they have built up over time to find sales agents. From our experience data bases quickly go out of date as sales agents move on, no longer look for new relationships, or change careers. We have found the most effective way to find sales agents for our clients is by a managed advertising and promotion campaign. Through our network of social and business media accounts, closed online groups, readers of our newsletter, and visitors to our website we connect with 1,000s of sales agents actively looking for new products and services to sell. We can get your sales agent opportunity in front of those agents and manage your promotional campaign to get the very best results at a realistic price. To start the process of finding sales agents to sell your products or services, visit our page at Find Sales Agents and see answers to Frequently Asked Questions, and the services we can provide. 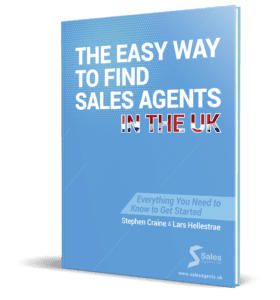 How do sales agent jobs work, can businesses benefit from having self-employed commercial agents selling their products and services, and is it the right career path for top sales people?